American carmaker Tesla has announced that it will be transporting its Model 3 e-vehicles to Europe through the Port of Zeebrugge, one of Flanders’ four international seaports and the world’s biggest car-handling port. At Zeebrugge, thousands of Tesla Model 3 cars will be arriving from the US and redistributed directly to customers across the European continent. The e-vehicles will be prepared on-site at the port prior to delivery. International Car Operators (ICO) operates the world’s largest car terminal at the Port of Zeebrugge. What makes the Tesla Model 3 electric cars stand out is the fact that they’re smaller, simpler and more affordable than previous models. But just like any Tesla vehicle, the new model combines range, performance, safety and cutting-edge technology in one elegant and smart design. The Model 3 also maximizes interior space so that it can comfortably fit five adults and their gear. Its high-efficiency powertrain allows the electric vehicle to accelerate from 0 to 60 miles per hour in only 3.5 seconds. The Tesla Model 3 cars will be handled by car transshipment provider International Car Operators (ICO), which operates the world’s largest car terminal at the Port of Zeebrugge. Employees working at the terminal will fine-tune the Tesla cars by fully inspecting and washing them, upgrading their electronics and, finally, preparing them for delivery. Next, the e-cars leave the terminal and are transported to ‘pick-up’ points in 14 countries. There, end-customers can obtain their vehicles directly. Every week, a new ship carrying around 3,000 Tesla cars will arrive at Zeebrugge from the US. To accommodate these ships, the Port of Zeebrugge also hired around 50 additional employees. In addition to other recent investments, ICO channeled approximately EUR 2.5 million into building 300 charging points at its Zeebrugge terminal. Each of these can be programmed to charge 8 vehicles at once. In the long run, ICO plans to increase the number of charging points to no fewer than 1,500. The cars leave the terminal 80% charged. 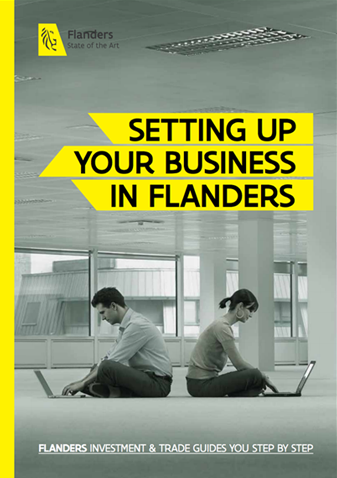 Learn more about Flanders’ international ports and automotive business ecosystem.